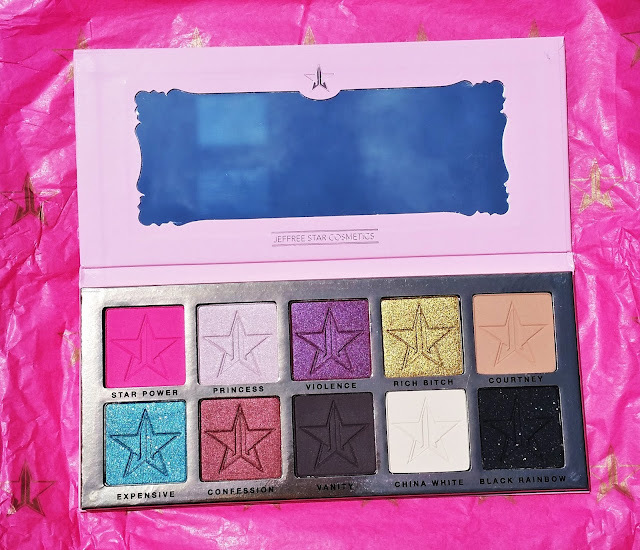 One of the most recent launches from a very popular indie brand, Jeffree Star Cosmetics, Beauty Killer is an eyeshadow palette that contains ten very pigmented shades in a combination of matte, frost, and shimmer finishes. Today, I'm here to show you guys one of the most recent launches from a very popular indie brand, the Beauty Killer Palette by Jeffree Star Cosmetics. When it launched last week on the brand's website, it had sold out in a record-breaking two minutes and crashed the site. I know Jeffree already restocked this a few days ago and there will be plenty more restocks in the next few weeks, but in those two minutes of the launch, I managed to purchase this palette and was also able to go back on to the site after the crash to purchase one of the Skin Frost Highlighters, which you will see in a later post. I've actually never owned any of his other products, Beauty Killer is my first. I have followed this brand since its début so I'm fully aware of Jeffree's very popular line of liquid lipsticks, but I could never decide on a color to get and his stuff always sells out so fast. So when he revealed that he was coming out with this eyeshadow palette, I was dead set on getting it because I knew that it was going to be bold and colorful. Beauty Killer is an eyeshadow palette that has 10 very pigmented shades that come in a combination of matte, frost, and shimmer finishes. 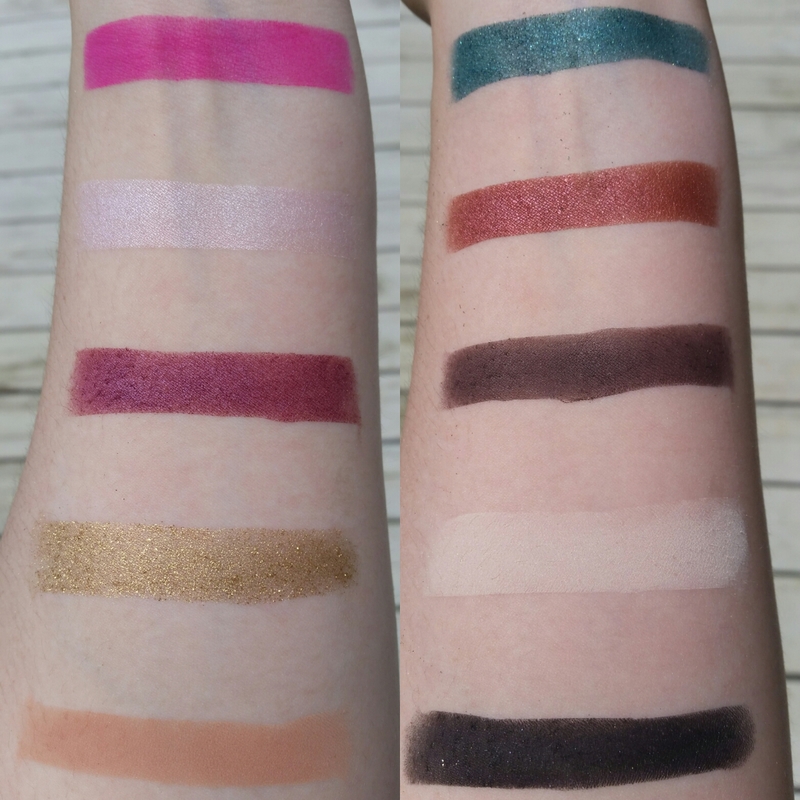 It's pretty typical for pigmented eyeshadows to be dry and gritty, but these shades have a very smooth and buttery texture, and I need to say it again that the pigmentation of these shadows is insane as you can see in the picture provided. The lighting is a bit off because I take all of my blog pictures outside so the lighting isn't always the same, but you can still see how vivid these colors are. This palette runs retail for $45.00 USD (not including shipping), which is a really good deal because you're getting a decent amount of product for each eyeshadow. 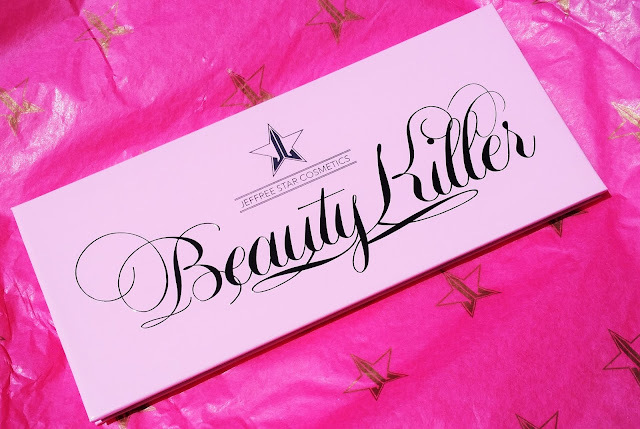 If you're familiar with the brand, then you know Jeffree doesn't play around when it comes to quality and getting your money's worth. My initial impression of this palette was that it was the most beautiful thing I have ever seen; I may not like non-matte eyeshadow, but that all flies out the window when I laid eyes on this. A concern that I do see for other people is they might find the colors provided to be hard to work with in terms of coordinating and creating looks from. You can, in fact, create a multitude of looks from it, this is a palette that I think you can just pick colors to use and go wild because they suit each other quite nicely and in such a unique way. With makeup, I feel like you have a lot more leeway in choosing colors to use for a look than trying to coordinate clothes. If you're really unsure of yourself, you can do Jeffree's blocking trick where you use just use the four shadows in a specific block in the palette (I'll link the video right here). I do see trying to make looks that suit different eye shapes as also being an issue as the majority of the palette is not matte and I know shimmer can be a nightmare to use if you have hooded lids like I do, but it really does come down knowing your eyes and experimenting. I personally just put something super matte in the crease or etch out a new one, and then pop the shimmer underneath, but there are already tutorials out where Beauty Killer is being used. 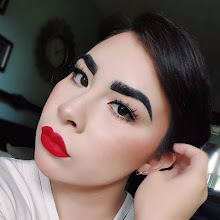 A look that I've seen done with Beauty Killer is from Manny Mua on Youtube (you can see it at this link) where it's completely matte on the lid and then a pop of shimmery blue on the lower lash. It's pretty easy to do and is great if you have hooded lids so I would recommend checking it out. Quite frankly, this is the IT palette right now for those that love colorful makeup. If you like more conventional shades then this is definitely not the palette for you and I would suggest getting the Swamp Queen Palette that Tarte created in collaboration with Grav3yardgirl.